Well unfortunately this race wasn't the 50 miles it normally is due to heavy flooding on the Thames. But, none the less what a great first ultra for me! We decided to stay in Oxford on Friday night so we wouldn't have to get up so early Saturday morning to get to the start. We woke at 6am and set about finalising our kit. Mine, my bag of food and mandatory kit, Fay, sorting my spare kit and where the check points were to meet me at. We then headed to the Golden Arches for some much important breakfast. Undecided on what was best I had a bit of porridge and pancakes. Washed down with the standard pre race latte! Once full it was off to the race HQ. the Prince of Wales pub in Iffley. It's one of those ironies I'm starting to see in ultra running. 300 odd people descending on a pub at 7.30 am like some kind of harden drinkers who need there hit. But this hit is of the running nature and naturally produced endorphins. So rather than indulging in beer and wine, it's the place to pick up your race number, map and shirt. Fortunately I got the rather easy number 456! 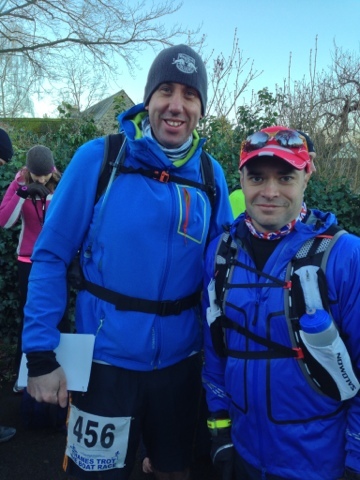 Once I had my number pinned to my shorts ( no point doing top, as I knew I would be taking layers off or putting them ) I went in search of my running buddy for the day, Michael Sartorius. 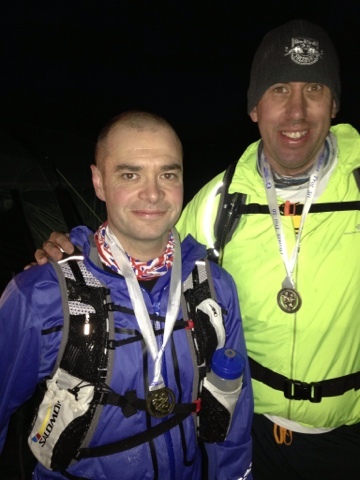 I meet Michael back last August when we were both sweeping the North Downs Way 50/100 ultra. In fact it was Michael who recommended this race. We had a quick scan of the route, which due to the flooding had changed a fair amount. We were ready for the off. 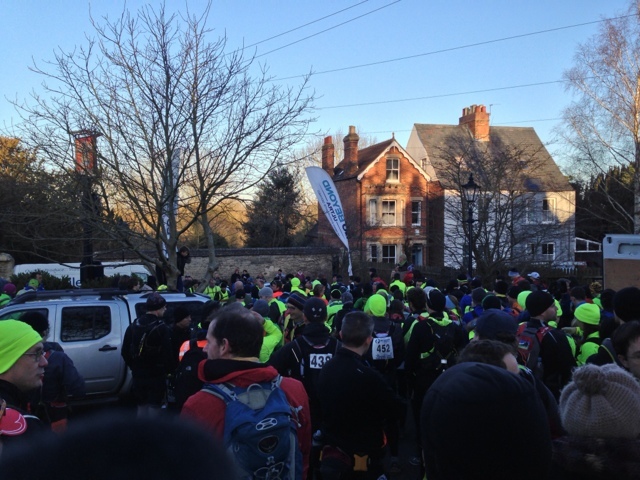 After a quick brief from the race organiser we were off! We headed straight out of Iffley to the river Thames. Immediately seeing the flooding that has forced the change of the route. We crossed the river so we were on the west side of the river and heading south. We followed the river for a little while and came across what would be the first of many flooded paths. Less then a mile and wet feet! We soon came off the tow path and picked up the road to Radley. Once through Radley we skirted around the housing estates of Abingdon, past the football club, and into Abingdon town centre. There we picked up the A415 heading south. During this time Michael and I were running with Michaels friend Jim. Averaging just under 9 minute miles. 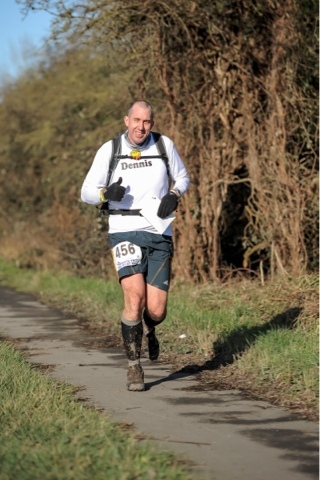 A pace which proved to be a little to quick for me. As we came out of Abingdon, we were being cheered only the local Parkrunners. No doubt thinking we were completely mental! And who could argue that? We eventually made a right turn towards Cullham Lock, CP1. 7.5 miles in 1hour 10. The feeling of that finish was amazing. I had some tough times, but I had far more good times. I was amazed how strong I felt at the end and I know I still had the legs if I had needed to run 7 more miles. All the hard hours spent training in some pretty awful conditions paid off! 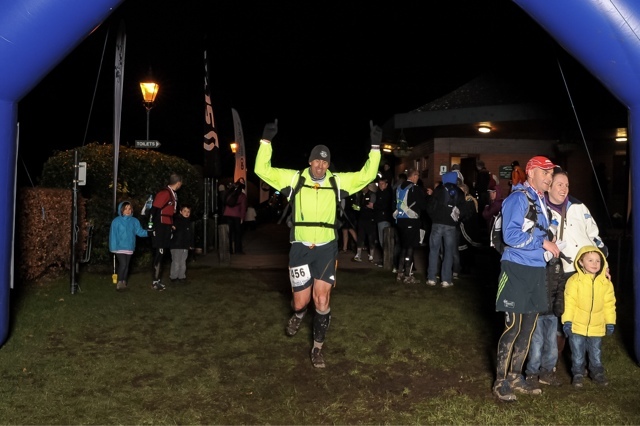 I can now look forward to my next ultra race, the North Downs Way 50. 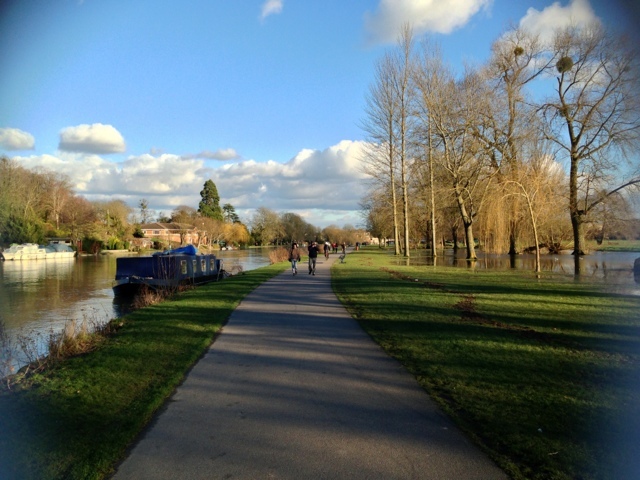 But before the I have a fair few races and another 38 mile sweep back on the Thames Towpath. I'd like to thank Michael for sticking with me during the race. He committed his race to help me through my first ultra! What a top man! Hopefully I'll be able to repay him one day! I also want to thank my wife for being my crew on the day, having to navigate herself to each checkpoint bringing me clothes and food! No doubt a long day for her. 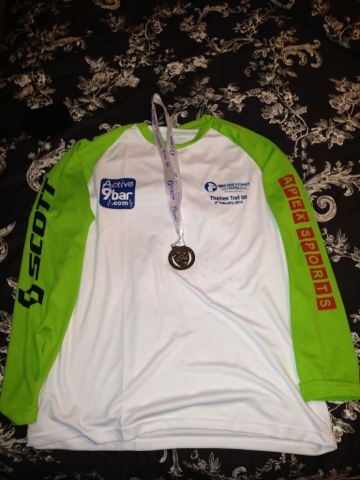 And finally I want to thank Go Beyond Ultra for a great race and all the volunteers that helped out on course! Did you know you can create short links with Shortest and earn cash for every visitor to your short urls. A bit of training and a dodgy stomach!